Flat Roman Shade. Photo by Kris Jarret of Driven By Décor. Stripes are a wonderful way to introduce a pattern to your décor that can still coordinate with a variety of other colors and prints. 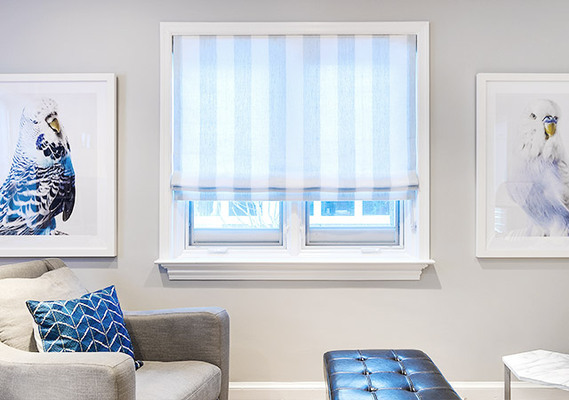 Classic stripes on a sharp Flat Roman Shade are timeless, and you can update other aspects of your interior design around your shades as time passes. 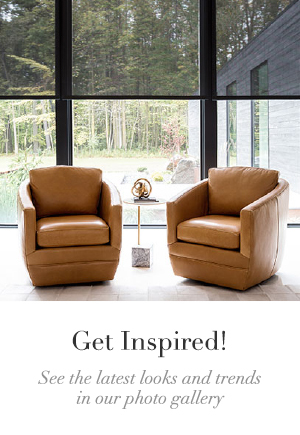 Keep reading to learn how to choose the right stripe for your space. Vertical or Horizontal Striped Shades? When considering striped Roman Shades, you should first decide which direction you want the stripes to go. Vertical stripes are ideal for elongating windows. They draw the eye up towards the ceiling, giving the illusion of height and making the window appear taller. You can take advantage of this optical trick even more by outside mounting your shades above the window frame, so the stack sits on the wall above the window when the shade is raised. Horizontal stripes have a great impact in small spaces, as they make rooms look bigger. They have the power to make walls and windows look wider. Try them on a powder room window, or in a bedroom with two windows flanking the headboard of the bed. Flat Roman Shade. Design by Nicole Lanteri. In addition to the direction of your stripes, the colors of the stripes and weight of the material can set the tone for your entire space. Broad stripes in neutral colors are friendly and inviting without overwhelming the rest of the art and furniture in your room. 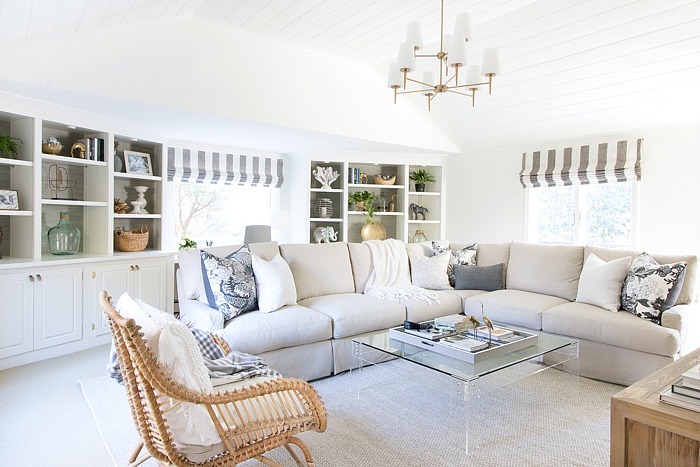 In the photo at the top of the post, Driven by Decor chose gray and white striped Roman Shades for her family room and paired them with a solid sectional and patterned throw pillows for a put-together yet comfortable family gathering space. Relaxed fabrics like linen and cotton lend a breezy lightness to your windows. Stripes can feel reminiscent of pool cabanas and summer beach towels, and therefore work beautifully in beach houses and coastal décor themes. Stripes can also work in modern or formal spaces as well, however, and are certainly not limited to casual styles. High contrast combinations like black and white create an instant graphic effect on your windows. 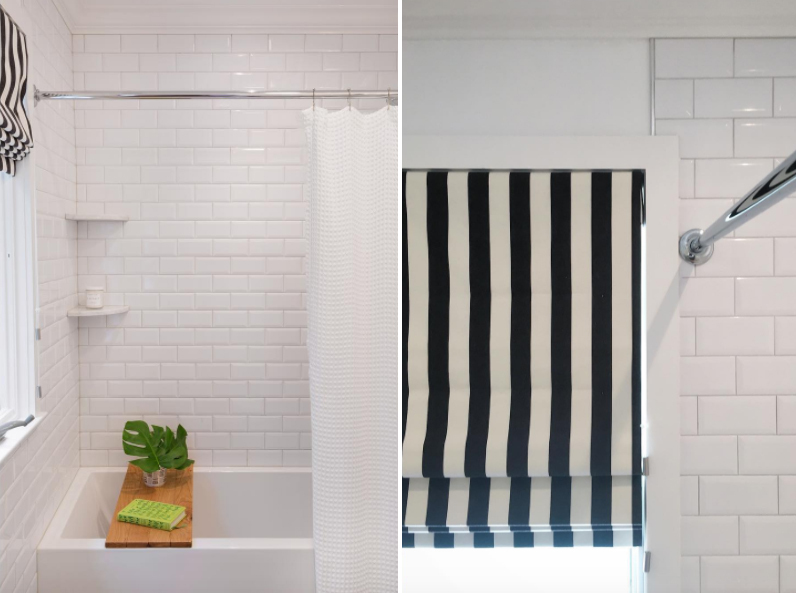 TRG Home Concepts kept the rest of this bathroom crisp and clean with white paint and subway tile, and the black and white striped Roman Shade adds a shot of interest and dimension while maintaining the modern vibe of the room. 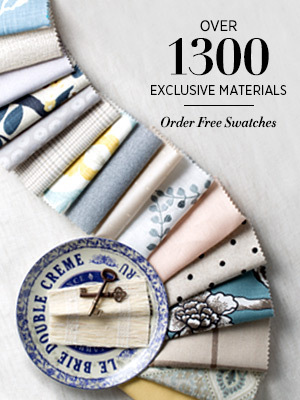 The Shade Store carries more than 70 materials for Roman Shades featuring a striped motif, from the menswear-inspired Suit Stripe to cotton Cottage Stripe to DwellStudio’s interesting Gita Stripe. 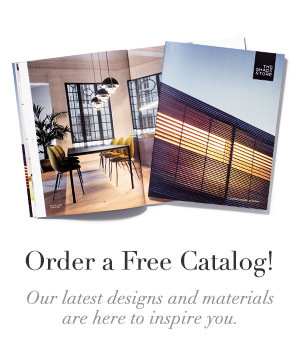 Order free swatches of the prints that fit your design to test them out in your home.